Applying for a mortgage is one of the most complicated and overwhelming parts of purchasing a home. The best way to cut down on potential stress is to be prepared. While not every item on this checklist will apply to your particular situation, it is a good starting point for making your application process as simple as possible. Begin Saving Money – There are a lot of costs associated with obtaining a mortgage, and early saving will ease the financial burden. Credit Check – Do a quick check of your credit standing. If there are items on your credit report that need cleaned up, do so before applying for a mortgage. Determine a Budget – You know best your financial situation. Know what you can comfortably afford to pay. Research Loan Types – There are several different types of loans available. Do some research to figure out what one works best for you and your situation. 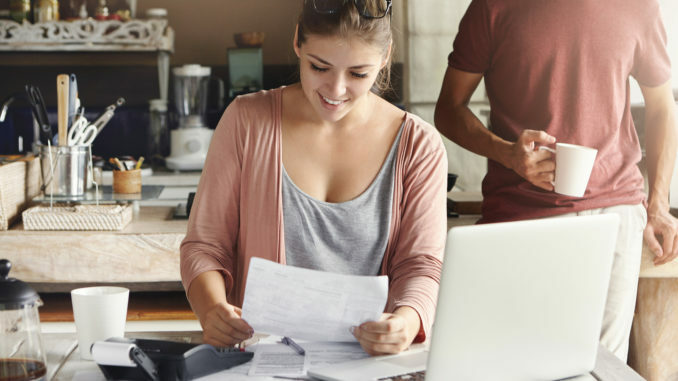 Prepare Financial Documents – While the list of necessary documents varies by institution used, having your finances organized and easy to find will help speed up the process. Get Pre-Approved for a Loan – It is highly recommended that you get approved for a loan before looking at homes.